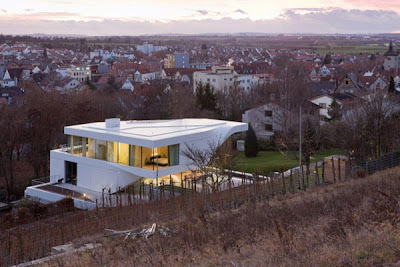 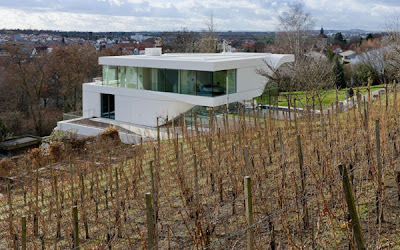 This 6,650 square foot contemporary house near vineyard offers beautiful views over the stepped terraces of a hillside vineyard in Stuttgart, Germany. 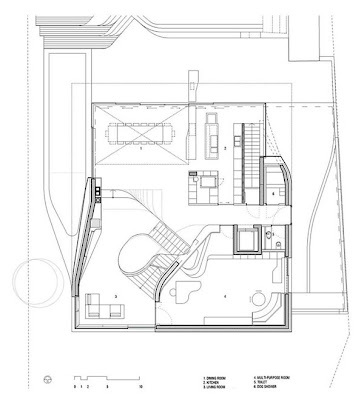 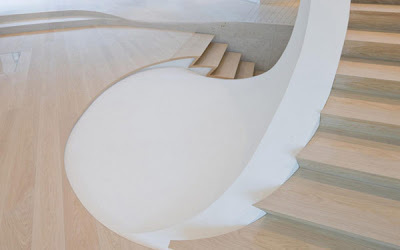 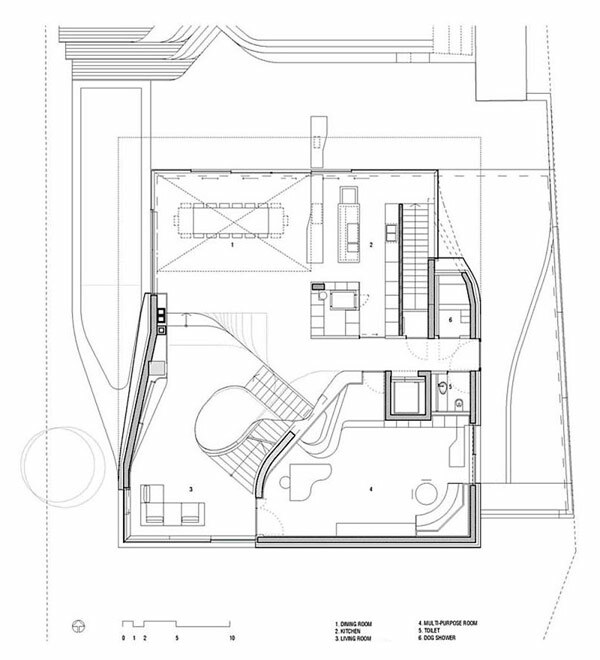 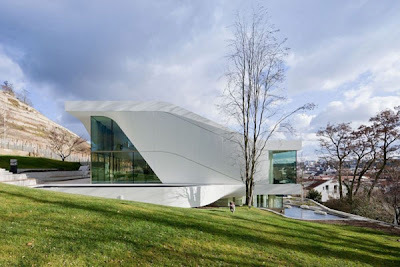 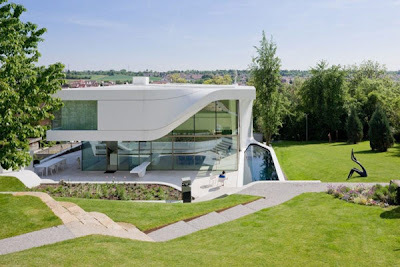 Inside and out, this contemporary house is characterized by interesting turns and curves, and so is the functional structure, organization of the views and indoor circulation of the house. Set of diagonal movements determines the direction of each curve. 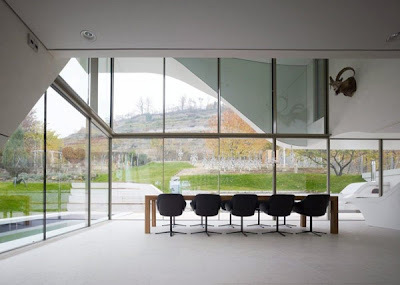 A glazed double-height corner is the dining area, which opens up to picturesque views and frames the stepped vineyard hill which composes the backdrop to the home.